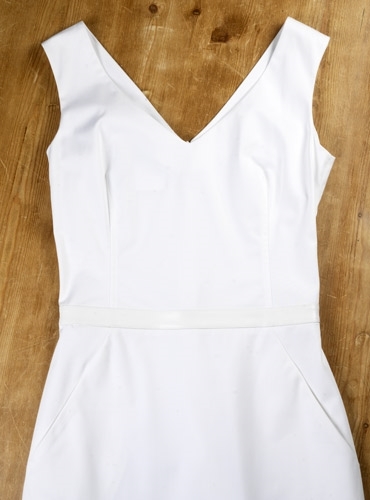 V-neck cotton dress from Petrovitch and Robinson with white leather waistband. This dress falls just below the knee and is fitted through the torso. 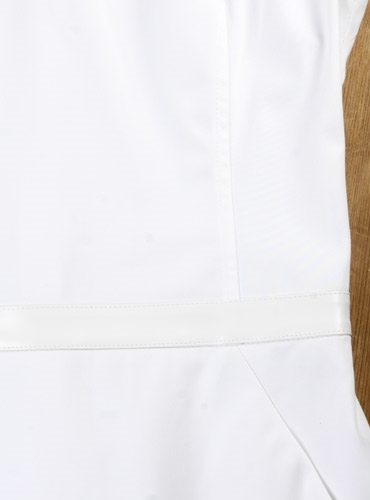 Side pockets and hidden zip closure.